WASHINGTON (Reuters) - Contracts to buy previously owned homes unexpectedly rose in June after two straight monthly declines, but the housing market remains hobbled by a dearth of properties available for sale. The National Association of Realtors said on Monday its Pending Home Sales Index, based on contracts signed last month, increased 0.9 percent to a reading of 106.9. Economists polled by Reuters had forecast pending home sales unchanged in June. Pending home contracts become sales after a month or two, and last month's surprise rise suggested a rebound in existing home sales, which have declined for three straight months. But any bounce back in home sales is likely to limited by a chronic shortage of homes, which is keeping house prices elevated. "The trends in many housing indicators have weakened lately and we think that the recent increase in rates is putting some downward pressure on activity in the housing market," said Daniel Silver, an economist at JPMorgan in New York. House price increases are above 5 percent on an annual basis, far outpacing wage growth, which has been stuck below 3 percent, despite a robust labor market. The 30-year mortgage rate is around 4.54 percent, but still low by historical standards. 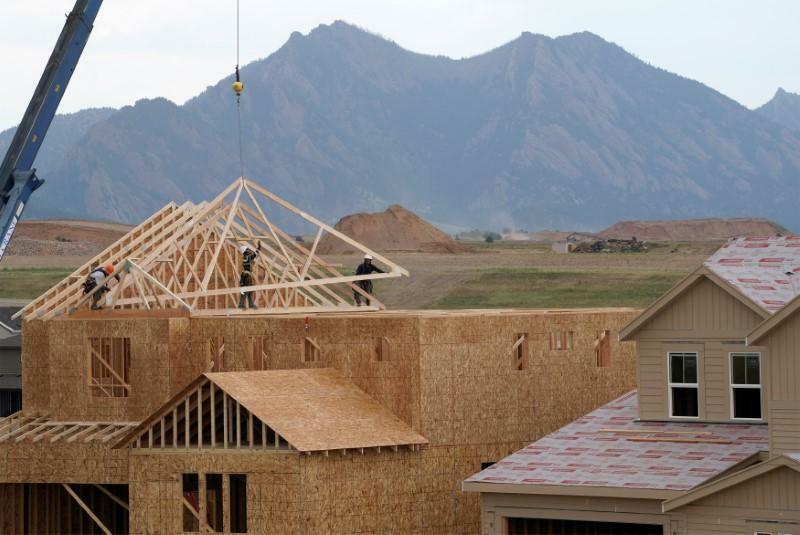 Investment in homebuilding contracted in the second quarter. It was the second straight quarterly decline. The economy grew at a 4.1 percent annualized rate in the April-June period, the strongest performance in nearly four years. In June, home purchase contracts increased 1.1 percent in the populous South. They gained 0.7 percent in the West, which has seen faster house price inflation, and jumped 1.4 percent in the Northeast. Contracts rose 0.5 percent in the Midwest. "Even with slightly more homeowners putting their home on the market, inventory is still subpar and not meeting demand," said Lawrence Yun, the NAR's chief economist. "As a result, affordability constraints are pricing out some would-be buyers and keeping overall sales activity below last year's pace." The Realtors group expects existing home sales to decrease 1.0 percent this year, reversing 2017's 1.1 percent increase.